Windows 8.1’s launch day went off without a hitch. We’re just joking, of course. As it’s to be expected, issues popped up throughout the day for users trying to upgrade to Windows 8.1. We wanted to cover them each in more detail so you can get the most efficient upgrade possible in the coming weeks. Let’s look at some of those issues and how to fix them. If you haven’t upgraded yet don’t miss our step-by-step guide to upgrade to Windows 8.1 from Windows 8. Let’s take a look at how to troubleshoot some of the most common issues with the Windows 8.1 upgrade. As soon as you open the Windows Store, the Windows 8.1 upgrade should be the first thing you see. 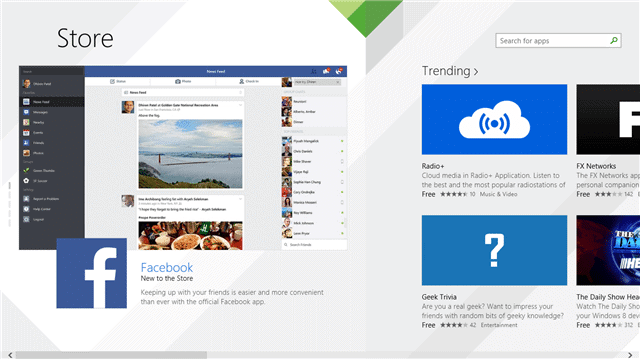 However, many Windows 8 users didn’t see it and couldn’t find it in the Windows Store. If this is the case for you, use the following link in your browser to force your Windows 8 PC to the download in the Windows Store for Windows 8.1. This will manually open the download and let you proceed with the update if it doesn’t show up in the Windows Store. The other possibility is that your Windows 8 PC isn’t up to date with the latest Windows Updates. Before you upgrade, check to make sure you’re up to date. Chances are if you’re not, that’s another reason the Windows Store Windows 8.1 upgrade isn’t appearing. If neither of these methods works, check out our next troubleshooting point. These all follow special processes for upgrading. In the case of Windows 8 editions installed via ISO images. You’ll need to retrieve an ISO of Windows 8.1 from your network administrator or IT department or through the MDSN network with Microsoft. Windows 8 Pro uses who activated through MAK (Multiple Activation Key) or KMS (Key Management Service) will need to contact Microsoft directly for an upgrade. As for Enterprise users, again, you’ll need to reach out to your IT department or contact Microsoft directly for the proper download instructions. If you’re not sure whether you qualify for a Windows 8.1 upgrade for free, we recommend contacting Microsoft or your IT department for clarification. So many people are trying to download at once that Microsoft’s servers are overwhelmed. This forces the download to “freeze” and after some time – usually about 30 to 45 minutes in our own experience – cancel completely, but Windows doesn’t tell you that. Instead, the download bar just appears stuck. If this occurs, you’ll want to completely exit the Windows Store and restart your PC. Start the download again, this time manually like in the first troubleshooting point, and this should correct the issue. Depending on the time of day and how bogged down Microsoft’s servers are, you may experience the issue again. Repeat the steps until it completes as cumbersome as it seems. Until the week after release, chances are many users will run into this issue. The second reason isn’t actually as apparent. Since Windows 8 and Windows 8.1 utilizes background downloading of updates, for some users it may seem that the download isn’t happening but in fact it is and you won’t know until you’re prompted to continue with the installation of the upgrade. This can be frustrating for users, because you may not know if the download has stopped or if it’s actually working. So tread lightly if you decide to start over again. We recommend allowing the “download” to take place for at least two hours before restarting it to ensure that background downloading isn’t actually taking place. Otherwise, you may have wasted time downloading the Windows 8.1 upgrade for no reason. If you don’t have enough space on your PC, ranging anywhere from 10 GB to 20 GB depending on the PC and what OS you’re upgrading from, it will fail after downloading because there’s not enough space for the upgrade to expand and take place. If your Internet connection wanes or becomes slow during the process, Microsoft will halt the download and potentially the installation and revert it back to your previous version. We recommend hard wiring into your router or modem for the Windows 8.1 upgrade process instead of using your WiFi network. Now, let’s say that you used the Windows 8.1 Pro Preview on a partition and utilized the Windows 8.1 Pro Preview license but don’t have an active Windows 8 account on the PC. 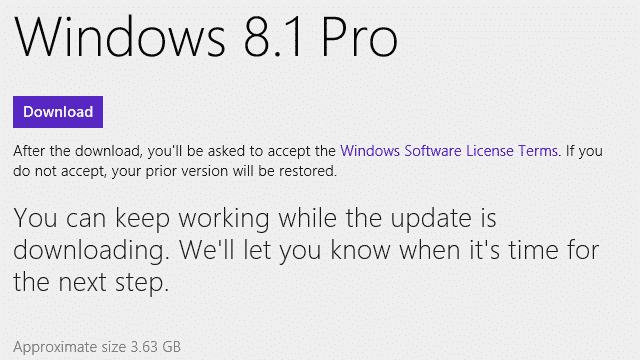 The Windows 8.1 upgrade will fail because you don’t have a Windows 8 license. Windows 8.1’s final release can only be upgraded on Windows 8 PCs that have a valid license. This can cause the upgrade to fail. TechNorms is here for you throughout the Windows 8.1 upgrade process today, tomorrow and into the future. Let us know if you encounter any issues and we’ll be updating this post daily as new issues occur. We want everyone to be able to experience the good and the bad of Windows 8.1, so let us know in the comments what issues you’re facing and we’ll be happy to go through them with you.